Rob: I liked the words so much, I just wanted to ... I liked the sound of them. The meaning comes out of ... I wanted it to be more about mystery. I didn't want to explain it to anybody. 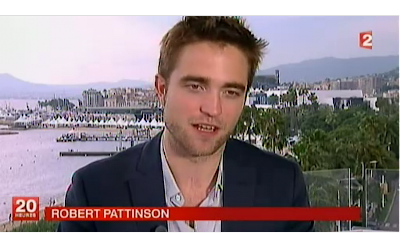 Talking about him walking up the steps at Cannes. Rob: It's amazing. I thought that I'd maybe end up here in 10 years. It happens now, the year that Twilight finishes. It's suddenly, already .. I was scared of being typecast and everything. It's amazing. Rob and Sarah posing for pics at their appearance with Le Grand Journal (at about :50) or watch on YouTube. TG1 (At about 11:50) - click image to watch or watch on YouTube. 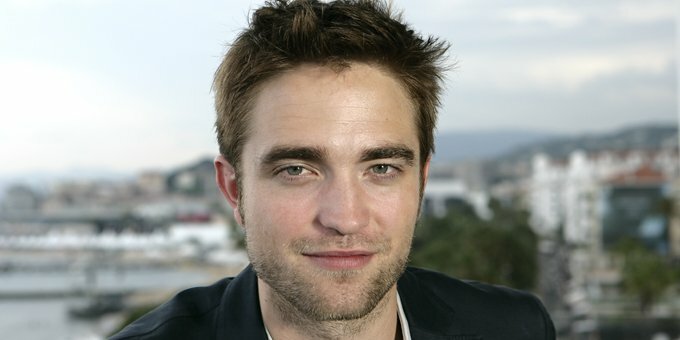 TG5: In this interview below Rob talks Kristen and On The Road. Translation (via) under the video. 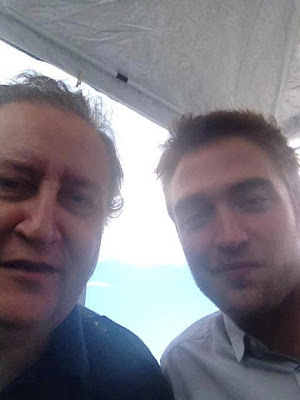 Rob also talked to Metro France - and that interview is great as well.